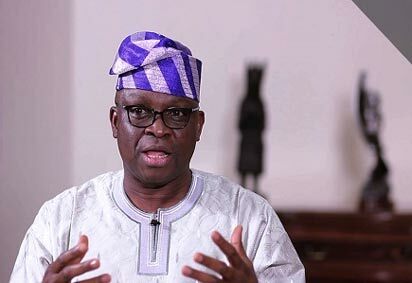 The Ekiti State Governor, Ayodele Fayose in a press release issued by his Special Assistant on Public Communications and New Media, Lere Olayinka in Ado Ekiti questioned President Muhammadu Buhari’s persistent absence from state functions, especially the weekly Federal Executive Council meetings. According to him, he said it is becoming obvious that a group of cabal is exercising the powers of the President. Every day, what we hear is president said this, president said that without seeing the president in any official function and one is prompted to ask; where is the president?” I saw the Secretary to the Government of the Federation (SGF), Mr Babachir Lawal, on television responding to his suspension and what came to my mind was that there could actually be many presidents operating in the Buhari’s presidency. Perhaps, it is for this reason of possible existence of governments within the government of Buhari that confusion pervades the polity, with the president himself writing letter to the Senate to clear someone of wrongdoing and the same person being suspended three months after on the basis of the same allegation. Englishman, Wayne Rooney joins Alan Shearer in EPL top Scorers chart.